A name that symbolises a time gone by, Lana is another one of those Old Hollywood names that I believe will continue as the years go by. Unlike Harlow who true popularity has been in the last few years, Lana has already proven that she has stood the test of time though her history on the charts is anything but settled. It left the Top 1000 suddenly in 1893 before remerging in 1939 before reaching its highest point at #188 in 1948 before dropping back to the bottom of the Top 1000 and completely out of it in the late 90’s before the rising again during the 00’s before now slightly dipping again. This name has a roller coaster of a history. 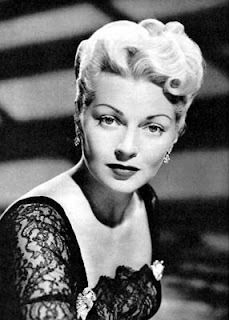 Lana’s popularity in the 40’s was most likely, if not definitely, due to Lana Turner (who was originally born Julia Jean). It got a glamorous turn around thanks to Ms Turner. It did dip a little in the late 50’s (around the time that Ms Turner was embroiled in the situation of her daughter stabbing her abusive partner is self defence for her mother) before rising again after one of Lana’s great success in the film Imitation of Life before dropping again as her star began to fade. Lana (pronounced: LAN-ah) is of Irish origin and means ‘little rock’ or ‘harmony, concord’. Its rise in the early 00’s might be due to ‘Lana Lang’ from the DC Superman Universe but she had been introduced in the 50’s so I am not completely sure. Maybe the show Smallville had an impact, though surely only a small one. In the first few seasons it was Lana who was the main love interest before Lois Lane, as before this I think poor Lana just didn’t have much attention on her compared to Ms Lane. It was starting a very slight dip again but I think the singer Lana Del Rey might help to turn that around. Lana, who was born Elizabeth Grant, chose the name for herself so she obviously can see the merits of the name. Since she really has only become prominent this year as a musician, I suspect a possible slight rise in the name in the next year, not a drop. Lana is currently ranked #486 on the charts and was given to 607 girls in 2011. Outside of the US, it is quite popular on mainland Europe. In Belgium, it is ranked #90, Bosnia & Herzegovina its is ranked #19, Frances has it ranked #39, Netherlands it is ranked #46 while it #2 in Slovenia and #1 in Croatia. The name ‘Lana’ is found in a lot of other names as well like Alana (ranked #188 in US, #88 in Australia), Milana (ranked #997 in US, #455 in the Netherlands), Alanah (given to 189 in 2011 in the US), Elana (given to 134 girls in 2011 in the US), Ilana (98 girls in 2011 in the US), Allana (90 girls in 2011 in the US), Solana (57 girls in 2011 in the US), Delana (45 girls in the US in 2011), Keilana (44 girls in 2011 in the US), Lanae (44 girls in 2011 in the US), Lanaya (43 girls in 2011 in the US), Malana (42 girls in 2011 in the US), Allanah (30 girls in 2011 in the US), Kaylana (29 girls in 2011 in the US), Ellana (24 girls in 2011 in the US), Leilana (23 girls in 2011 in the US), Svetlana (22 girls in 2011 in the US), Lanah (20 girls in 2011 in the US), Dallana (19 girls in 2011 in the US), Marlana (16 girls in 2011 in the US), Lanasia (15 girls in 2011 in the US), Ahlana (14 girls in 2011 in the US), Helana (13 girls in 2011 in the US), Jalana (8 girls in 2011 in the US) and Olana (5 girls in 2011 in the US). While many of the above names seem eventually dated, Lana stands as a name that will become timeless with sophistication. This is a name I can see more of. If it does go on the rise, I wonder if it could possible even crack the Top 100, the first time it would ever do so. I am not sure but I think it is possible. It might just need the star-baby effect, like Ava had back in 1999 thanks to Reese Witherspoon. I agree - Lana is a beautiful name and I wouldn't be suprised to see it start to rise.